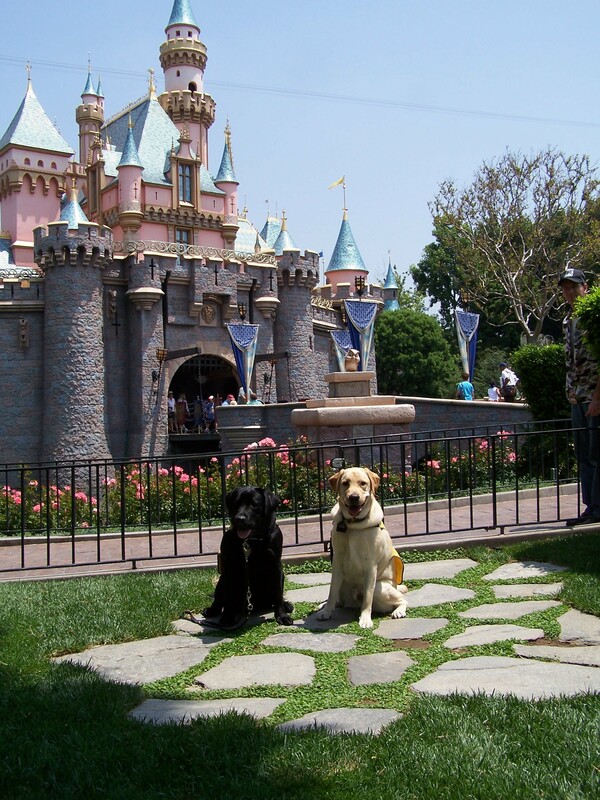 Taking the dogs to Disneyland before turn-in day is a tradition. Twice now I’ve had the privilege of raising littermates with my friends Matt and Amy, so taking a dog and his brother is even more fun. 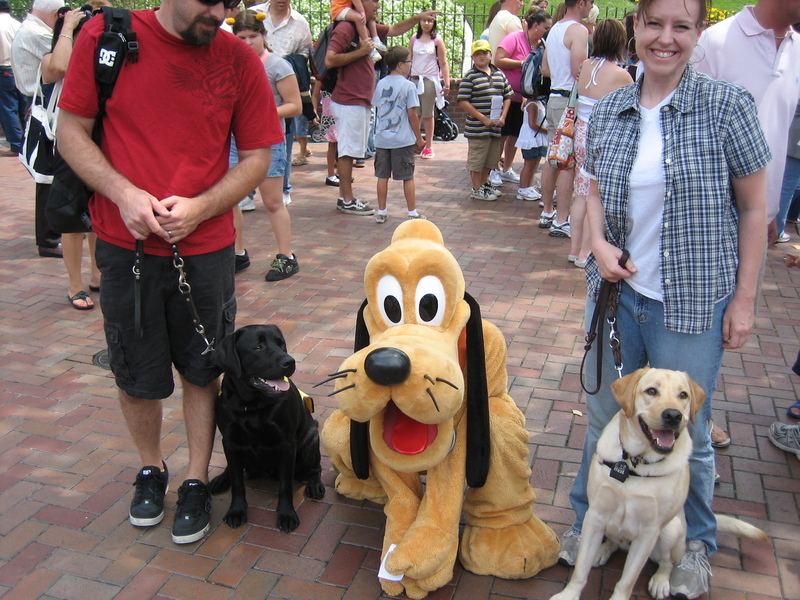 Before we even entered the park, Pluto found us. He was keenly interested in seeing Tai and Truman, who gave him a good sniff but weren’t particularly sure he was a dog. 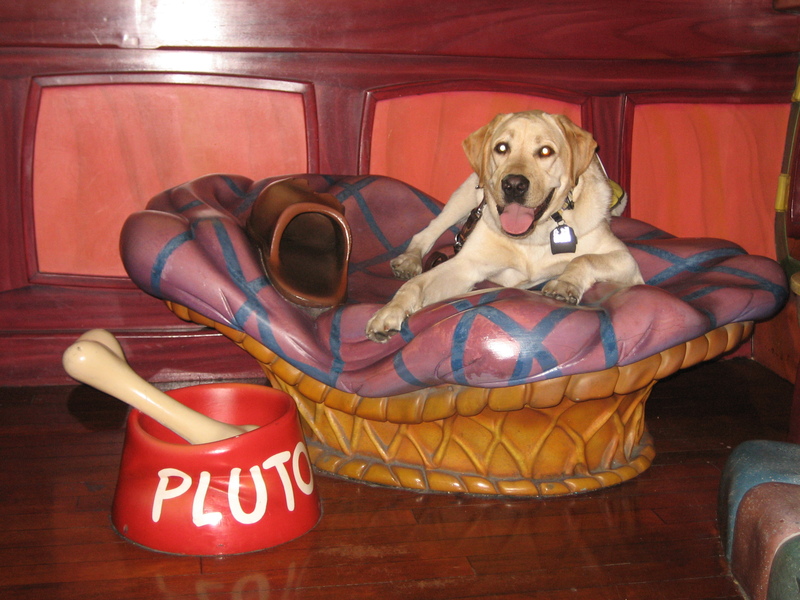 I think Truman was convinced once we got to Mickey’s house in Toon Town, though, because Pluto does have a pretty sweet dog bed, and he respects that. 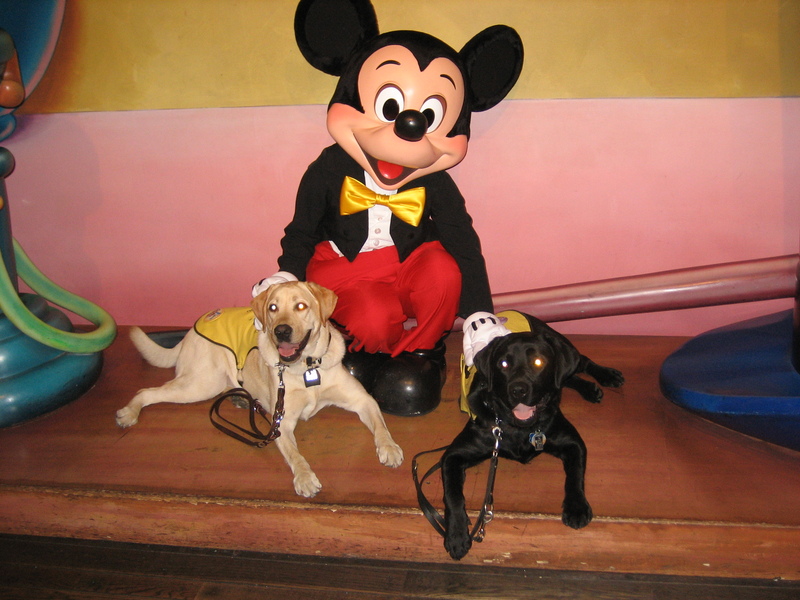 Mickey was pretty cool, too.